Guys, I finally made it to the makeup mecca, known as IMATS or the International Make-Up Artist Trade Show. If you don’t know already, my sister is a makeup artist, so she was able to get me a pass to IMATS NYC and of course, I jumped at the chance to go. I hit up a bunch of different brands and took advantage of the amazing discounts that are usually only available to makeup professionals, such as my sister. See everything I got below. I was most excited to stop by Morphe after seeing my sister’s haul from the day before. I love bronzy, neutral, golden eyeshadows, and had seen this eye shadow palette on someone’s instagram and I had to have it. I got the Ready, Set, Gold palette (currently out of stock online) for only $19, originally $22.99. 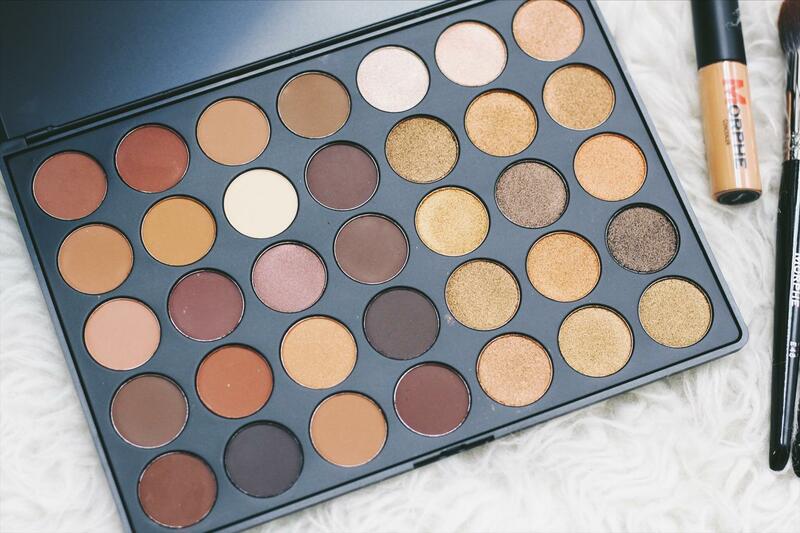 It comes with a mix of 35 matte and shimmer eyeshadows. Now that I’ve taken photos for the blog, I can finally play around with them. Don’t worry, a review will be coming soon! I also got the Morphe concealer and I really like it. It was really expensive, you get a lot of product and it’s super creamy. 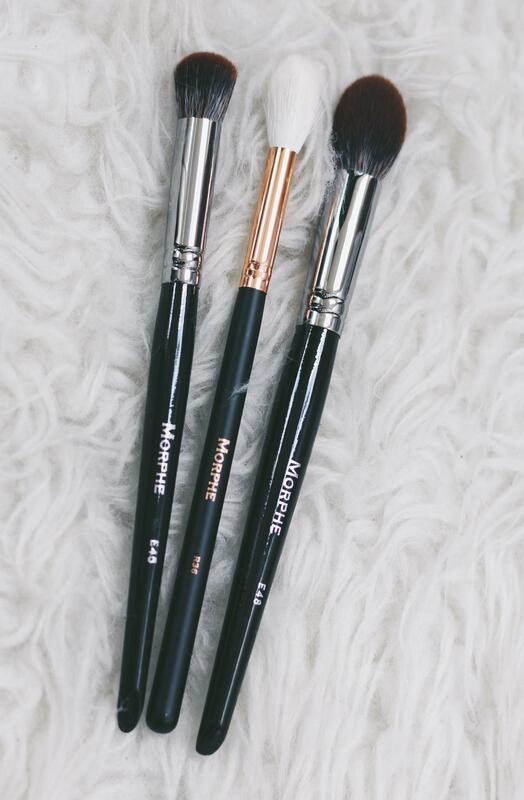 I got a few brushes from Morphe per my sister’s recommendations. I told her that I wanted to get more into contouring and she suggested two. E45 Mini Detail Contour – a medium blending brush, that will allow me to have more control over my contour. E48 Mini Pointed Powder – a large tapered brush, that will help me blend, blend, blend. R36 Pointed Highlight – a small highlighting brush, that I picked out because I only have 1 Morphe fan brush that I use for highlighting. I knew I wanted to pick up the infamous Bioderma micellar water to see what all of the fuss was about. This product has been raved about for years in the beauty blogging and youtube community, and I finally got my hands on it. I haven’t tried it yet but I can’t wait to see if it’s better than my beloved Garnier micellar water. The guy at the both also gave us samples of the Sébium gel cleanser and anti-shine moisturizer, which is perfect since summer is quickly approaching. I heard about the Cinema Secrets makeup brush cleaner through youtube. (Have you noticed a theme here?) I wasn’t ready to purchase it but the nice man at the booth gave us 2 samples to try out. I really want something quick like this to spot clean my brushes in between deep cleaning. I will let you guys know how I like it either here, on youtube, or on instagram. We stopped by the Niegel’s booth to check out the deals there, and I ended up picking up this beauty blender set. The set came with the original pink (not shown), the black pro, gray beauty blusher, and micro mini pro. I’ve only ever used the original size, which is $20 normally. I got this set for $35. Crazy deal, I know. I’m so excited to try the blusher and micro blenders. The set also came with a small size of the solid cleanser. I also got the Ben Nye banana powder. This is another blogger/youtuber fave but I’ve already used this one and know that I love it. I always got compliments on my makeup when I wore this, so I had to restock. 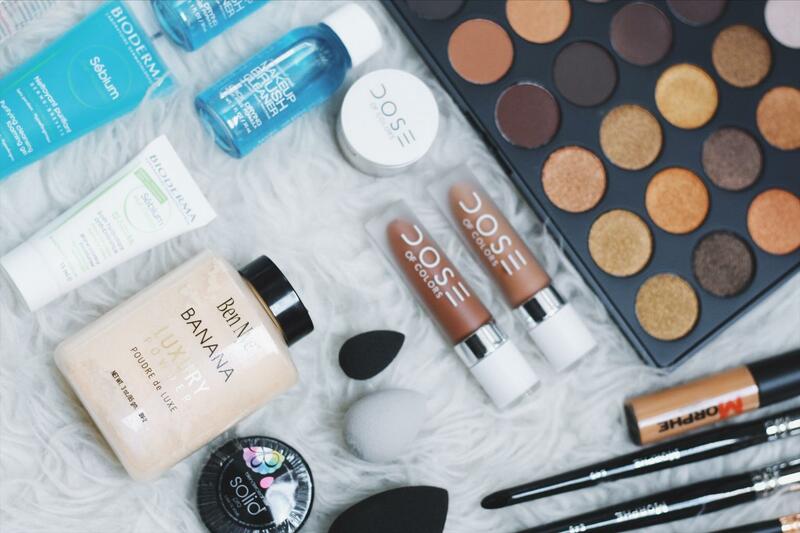 Yet another blogger/youtuber favorite. I’ve always wanted to try Dose of Colors, but I could never bring myself to pay the full price at Ricky’s here in NY. I actually hit up this booth first and picked up two of the Matte Liquid Lipsticks in Cork and Knock On Wood, while I could get the $4 discount. I also saved $6 on the Eyedeal Duo Loose Pigment & Primer in Sunset. Beauty publicist and blogger from New Orleans, currently living in New York, striving to uplift women through beauty and advice on how to win at work. a New York-based lifestyle blog. My name is Coreyiel and I am an Influencer Marketing Exec in NYC. My goal is to help aspiring entrepreneurs, creatives, and careerists build their brands, blogs, and business using my insider PR & Influencer Marketing experience. Whether you're looking to climb the corporate ladder or looking to create something of your own, sign up for my weekly newsletter to learn more. What is a Luxe Minimalist? Luxe Minimalist (n): lover of timelessness, simplicity, and quality key pieces.